Jekyll Island Shopping | Guide to Jekyll Island Shops, Stores, Souvenirs and Gift Shops, Crafts and Handmade Goods available on Jekyll Island, Georgia. No visit to Jekyll Island is complete without a stop at a local gift shop for a souvenir or token treasure to remember your visit by. Support local craftsmen and artisans with unique handmade crafts and wearables that can't be found anywhere else. The newly constructed shopping epicenter on Jekyll can be found on Main Street, directly straight ahead as you cross over the main causeway to the Island. Here you'll find a variety of eclectic shops and dining options. Or head over to Pier Road in the Historic District for a selection of unique gift shops and Jekyll Island collectibles. Gourmet grocery store and shop with casual eateries inside as well as gifts and goods. Former stables now hosting exhibits of local history, a gift shop & tours of Jekyll Island. Located on Jekyll Island, Summer Waves Water Park features 11 acres of water thrills and spills. Ride the Atlantic Wave Pool, or take a plunge down Pirate's Passage which drops down a 300-foot, five-story tower. Nature's Revenge has two 40-foot slides that twist and turn into a large catch pool at the bottom. 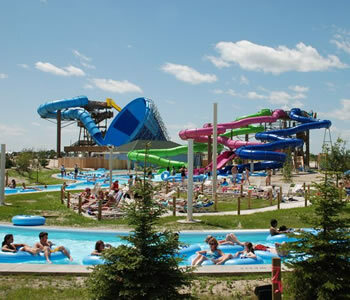 Flash Flood is a 350-foot-long curvy slide with double inner tubes, and Thunder and Lightning are twin slides that spiral down 150-feet of fully-enclosed tubes. Kids will enjoy the Splash Zone, which has water guns, a giant dunking bucket, and a water fun fort. Or for smaller children, the Kiddie Zone features two mini slides and waterfalls to play in.